I cannot find a product in my catalog. I may have deleted it. How can I find it again? Deleted products are not really deleted, but instead "Archived." You can find them in the Archived Products Report. 1. 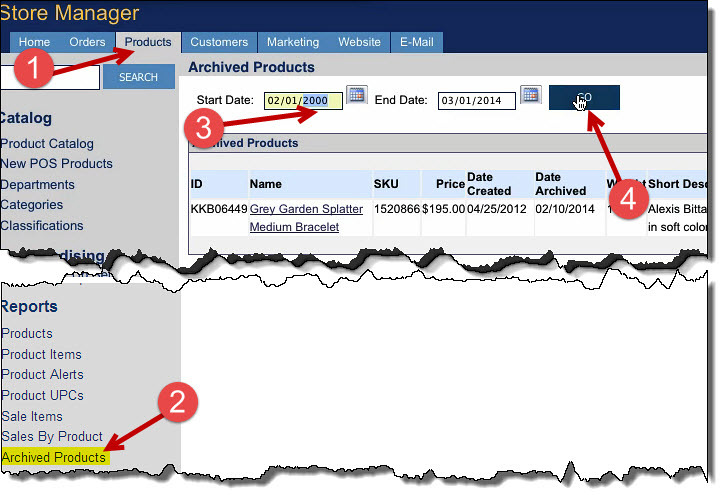 In the Products tab, click on the Archived Products report. 2. Change the Start Date so that you include all past products. Hit GO. 3. 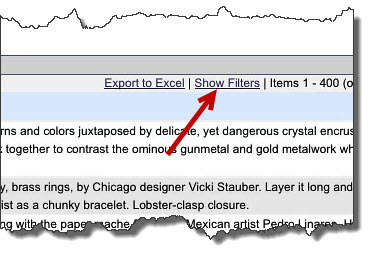 Click on the Show Filters link. 4. 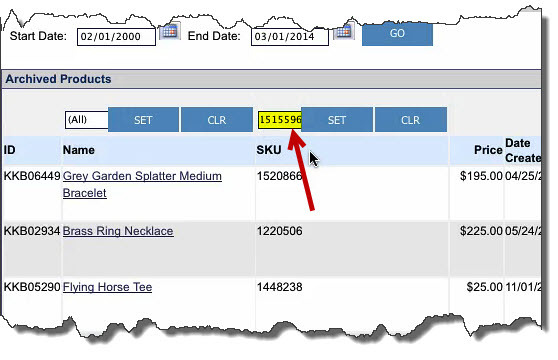 Enter the SKU you are looking for (you can also use product name). 5. When the product is found, click on Product Name link. 6. 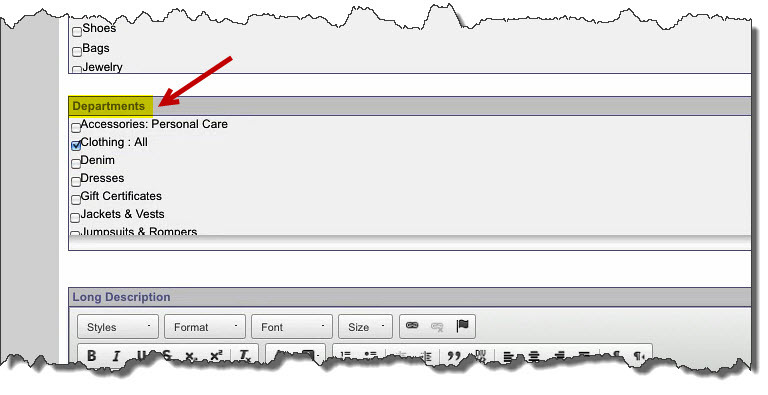 On the Product page, assign a Department to the product and hit Save. 7. The product will now be found in your active catalog.